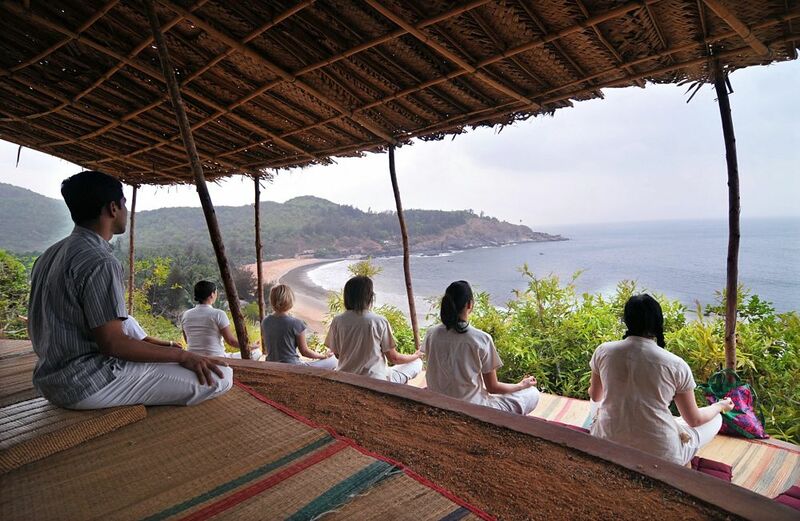 Heal your body and soul in the backdrop of OM beach in Gokarana, Karnataka. The word “OM” signifies complete peace and holistic living. 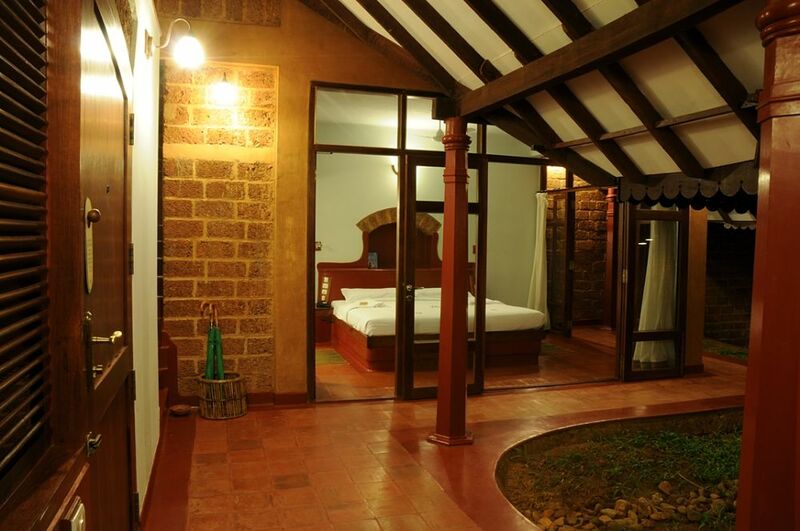 Eco friendly, tranquil retreat promises you a comfortable and relaxing stay. Take a break from the stressful everyday life, unwind at the breath taking beaches, try some holistic treatments and sink into meditation to rediscover yourself. Stay 7 nights from £1399 p.p. in a Kokan Villa, including Full Board, return economy flights & transfers. 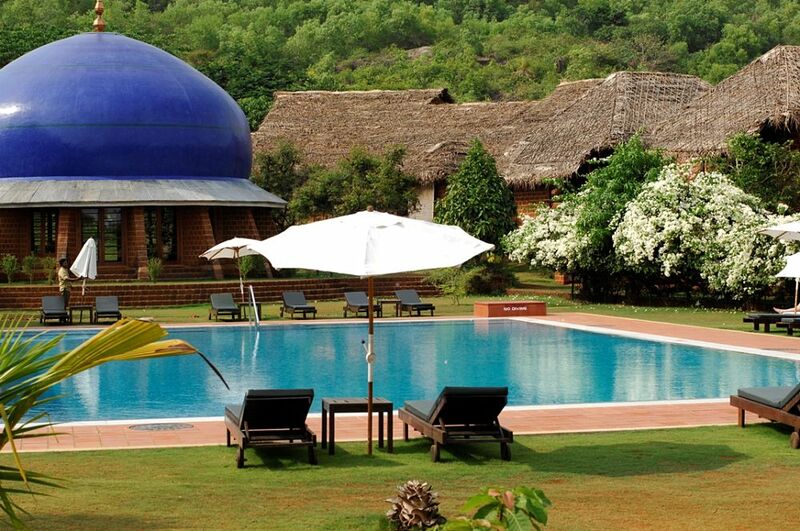 Located 12 kms from Gokarna, the resort offers guests a paranomic view of the tourist spots around. 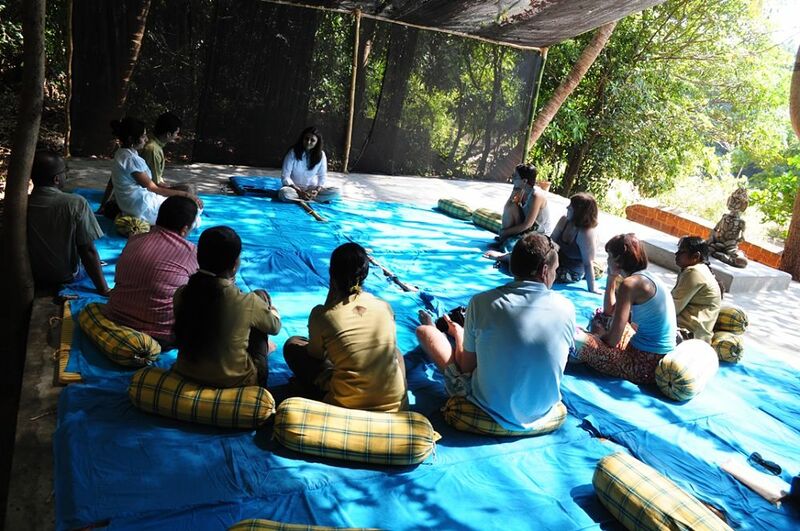 The guests should not miss a visit to the famous Mahabelashwar Shiva temple close to the wellness retreat. Located close to the Om beach near Gokarana, the beach is shaped like the mystical symbol of Om. The wellness retreat spreads over an area of 26 acres, divided into 24 Konkani Villas, ethnic style villas with AC bedrooms. These rooms are equipped with ample of amenities like tea/coffee maker, refrigerator and electronic safe to offer a relaxing and comfortable stay. Try out some great ayurvedic therapy sessions, ranging from hot oil massages to herbal pummelling, panchakarma treatments by resort’s qualified doctors. 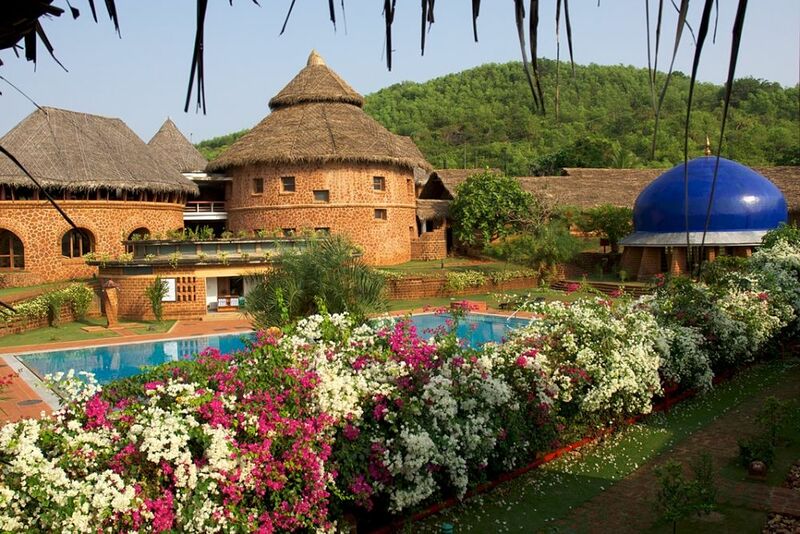 These self-reliant villas, constructed in the local Konkan style, come with laterite walls, coconut-thatched roofs and red oxide tiled flooring. All the villas are air-conditioned and divided in two levels. The upper level has a meditation room and an open air shower. The lower level has a bedroom; kitchen and a place for practising yoga. They have enclosed air-conditioned bedrooms and an open bathroom, a sitting area and a yoga deck that blends into the private garden. The beautiful villa is decorated with eco friendly shades and amenities. The garden villas offer a picturesque view of the gardens at the wellness retreat. 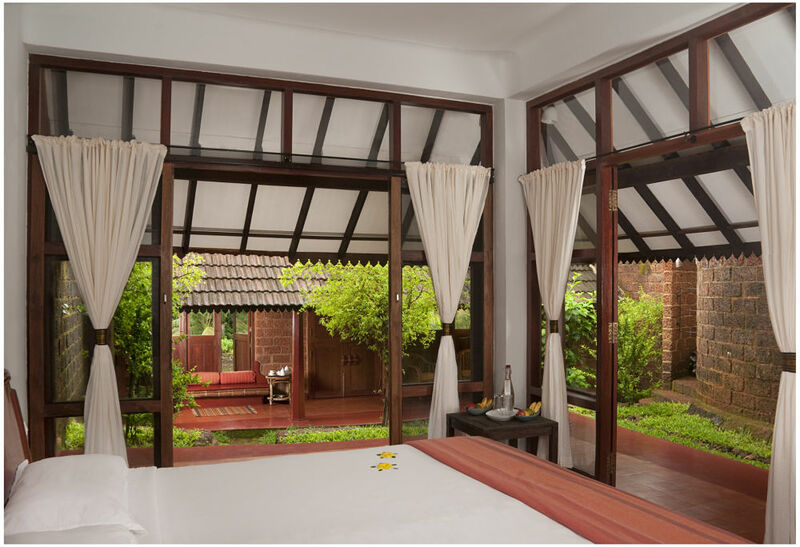 The interior of the rooms are decorated with orange tiles and yellow walls, the room offers a tranquil ambience. The villa does not include any electronic gadgets to help you unwind. The rooms are equipped with amenities like Phone, Internet Connection, Safe box, Air-Conditioning, Fan, Minibar, Coffee/tea making and Hairdryers. Enjoy dinner close to the pool, Cocum offers great tasting vegetarian and seafood. The food at Cocum is light and experimental fusion cuisine, which has the elements of both Indian and Western style of cooking. 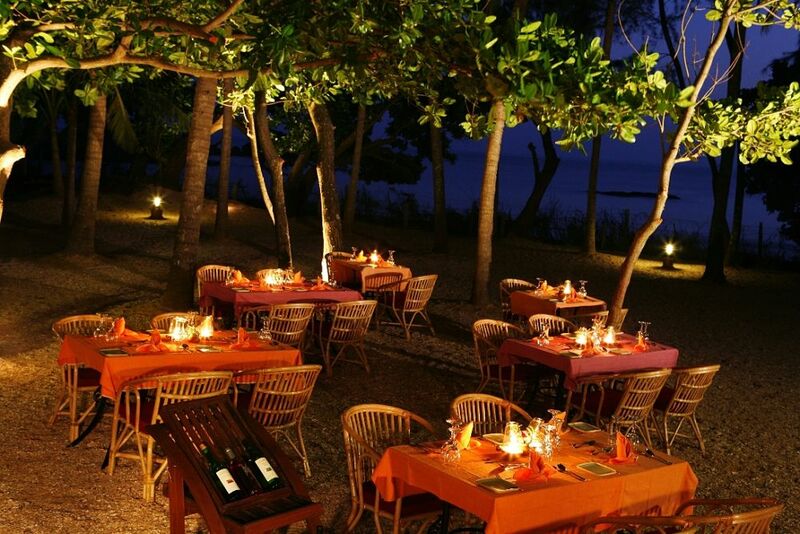 Open-air Beach restaurant is an ideal place to have lunch and, being right on the seashore and is a great place for those special dinners too. 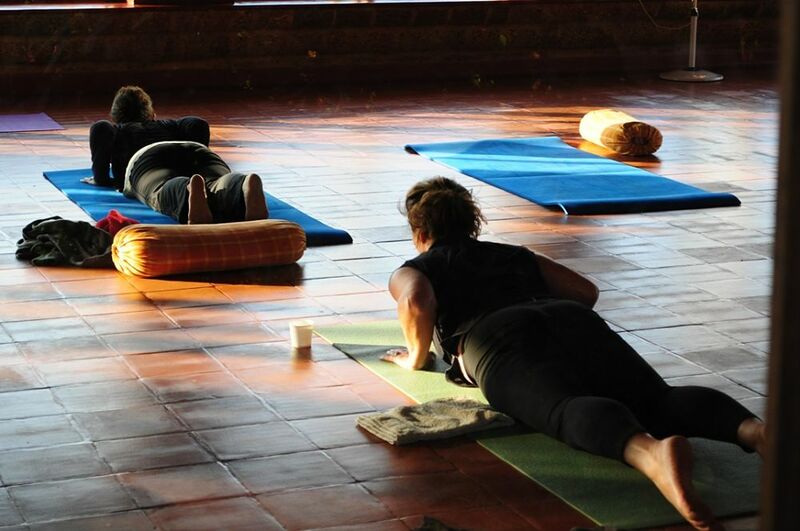 Fruits and fresh health drinks are served at the Beach restaurant in the mornings for those who attend the early morning outdoor Yoga sessions.